If you're a fan of Theme Time Radio Hour, you're going to want to look into Songs from the Invisible Republic: The Music That Influenced Bob Dylan. 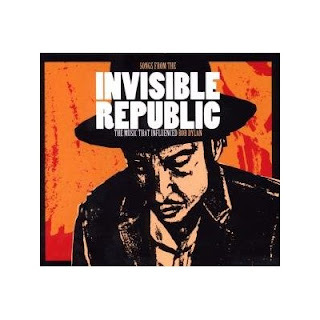 Invisible Republic is a 2-CD set issued by a Repertoire Records, based out of Hamburg, Germany. The 45 cuts on the set (a full set list, courtesy of Heyday Mail Order, is below) include artists as diverse as Odetta, Slim Harpo, Bing Crosby, and Curtis Mayfield. The common thread tying all together... Bob Dylan. If you've read the various speculations and commentaries on the musical influences on the songs of "Love and Theft" and Modern Times, here's the means to listen to all their antecedents in one package: Gene Austin's The Lonesome Road; Slim Harpo's Shake Your Hips; Bing Crosby's Where the Blue of the Night (Meets the Gold of the Day); Billie Holiday's Having Myself a Time. And more, including the hard-to-find Uncle John's Bongos by Johnny & Jack, which inspired probably the most nakedly transparent music appropriation Dylan has made to date: Tweedle Dee & Tweedle Dum. 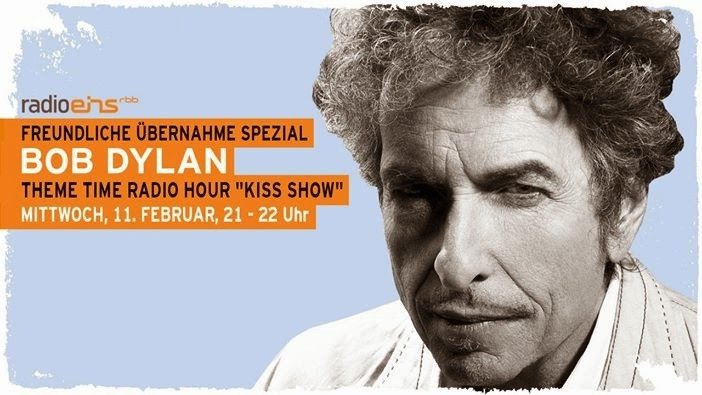 While hard-core Dylan fans may find nothing particularly new in Invisible Republic (for example, the roots of Modern Times were thoroughly covered by the excellent Live Roots and Wounded Flowers bootleg of 2006), the chances are that you'll hear at least one surprise. For me that was Chuck Berry's Too Much Monkey Business, a piece of music that somehow I had never heard before, and a clear influence on Subterranean Homesick Blues. The link to the set from Amazon U.S. is above. At a currently pricey imported cost of $40.98, I'd first look into buying it from one of the various resellers, who are offering it from around the more reasonable $20+ and up. And I'd like to put in a plug for the U.K. mail order house where I purchased Invisible Republic: Heyday Mail Order. Nick's service at Heyday is personalized, courteous, and prompt: I had my copy of the CDs a little over a week after ordering. And at £13.99 (around $28 bucks at the current dismal exchange rate when VAT is discounted and shipping to the U.S. figured in), Heyday's price is very reasonable. And if for no other reason, we should support small businesses. So if you're in the U.K. or Europe, go check out Nick, please. Songs from the Invisible Republic: The Music That Influenced Bob Dylan.